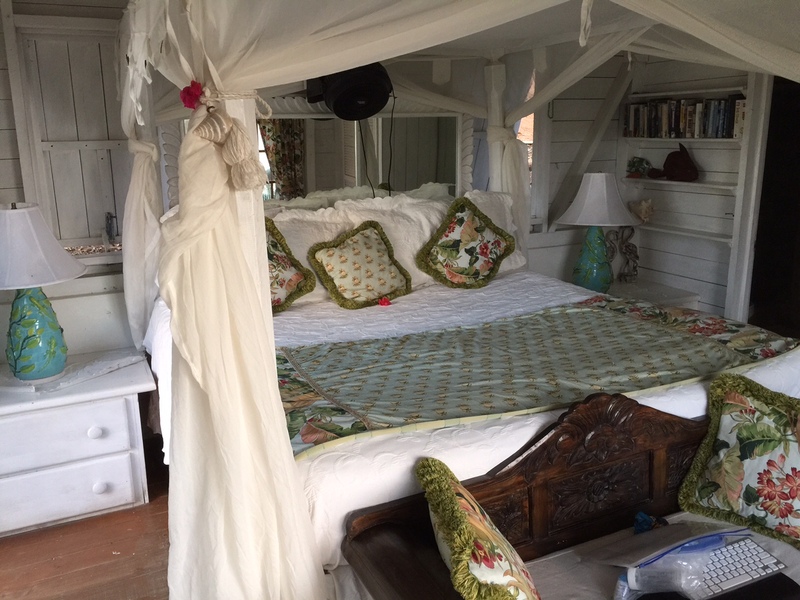 I am in Antigua, and surrounded by sailing – inside the Pineapple House – where I am staying and outside my balcony that overlooks the harbour. My room at the Pineapple House is worth more than a passing mention. It holds so much charm, compared to a standard hotel experience. My room at the Pineapple House – is in a separate guesthouse, called the Frangipani room. 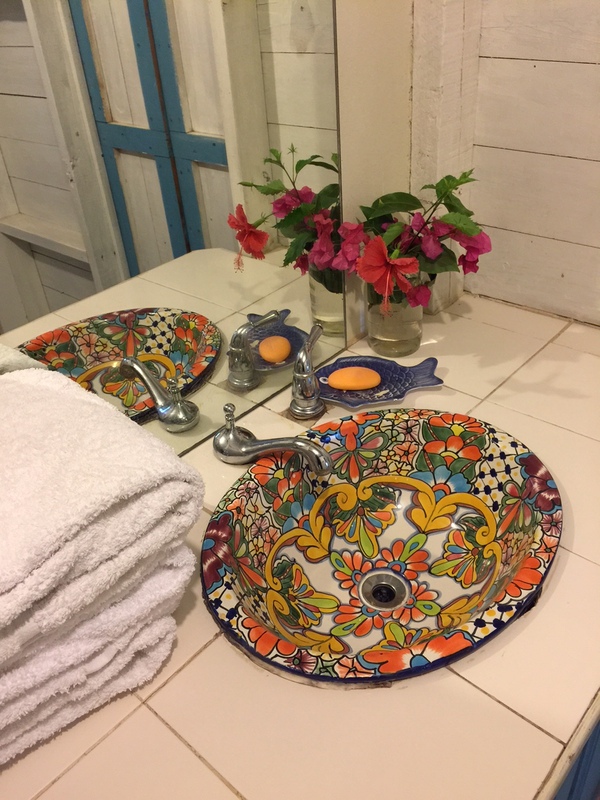 With fresh-cut flowers – it is definitely different than the accommodations on the SV Spirit of Juno, which is the boat that I’ll be sleeping on, and learning to sail during Antigua Sailing week. The onboard living space is as I expected, however. My husband sailed on this boat a couple of months ago. I went on board for the first time this evening. From my room at the Pineapple House, I can see the SV Spirit of Juno quite clearly. She is a 65 Farr, but is dwarfed by some of the other sail boats in the harbour. Here is an exterior picture of the SV Spirit of Juno. The docks are full of life of all sorts. I saw pelicans diving and, at first, I thought it was a person because they made such a splash. People are busy getting ready for Antigua Sailing Week. The people at Ondeck Sailing who operate SV Spirit of Juno said that they had to change a mast on one boat this week, and an engine on another. This trimaran caught my eye. James Bond would sail this boat. 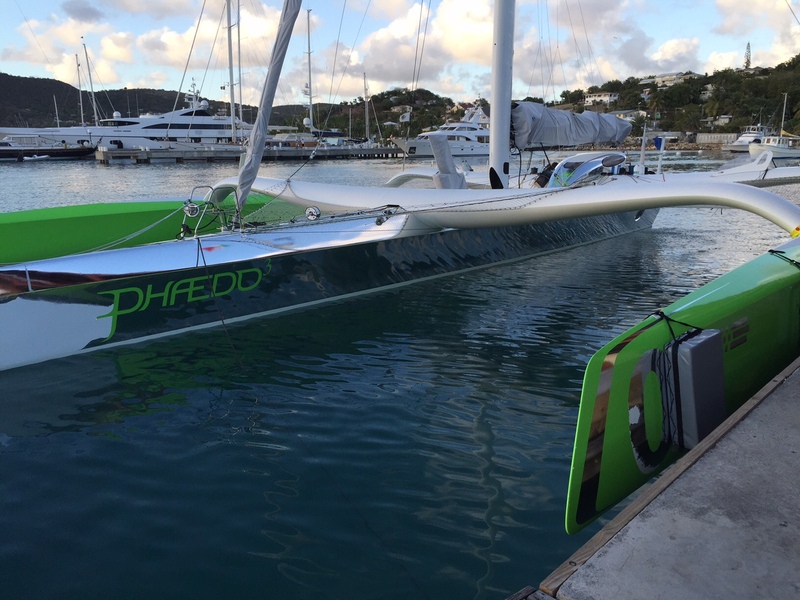 Turns out, this trimaran is the Phaedo 3 – a race car in the boating world, having recently “set a new course record for the RORC Caribbean 600”. (James Boyd, “New RORC Caribbean 600 record,” The Daily Sail, February 25, 2015.). The RORC Caribbean 600 race is a 600 mile race around 11 Caribbean islands. It attracts world champions as well as passionate amateurs. Back at the Pineapple House – tonight, it is filled with tanned, friendly folks – some with UK accents – many of whom are here to sail. I spent some time tonight talking to four sailors from Guernsey, which has some of the highest tides in the world. 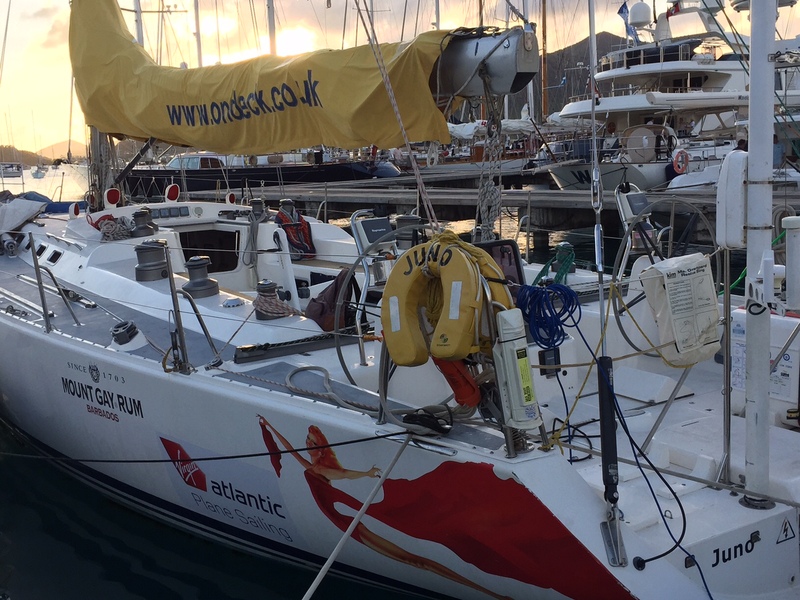 They spoke with excitement about the upcoming races in their area, including the Carey Olsen Inter-Island Yacht Race in June, and the Polygon Alderney Pursuit Race Guernsey to Alderney in August. And, they spoke with fondness for the Guernsey Jumper, which is a wooly sweater that repels water, making it perfect for sailing. There were so many synthetic fibres aboard my airplane from Toronto today – we practically squeaked. So, it was refreshing to hear a group so passionate about the earthy qualities of wool for an outdoor pursuit. 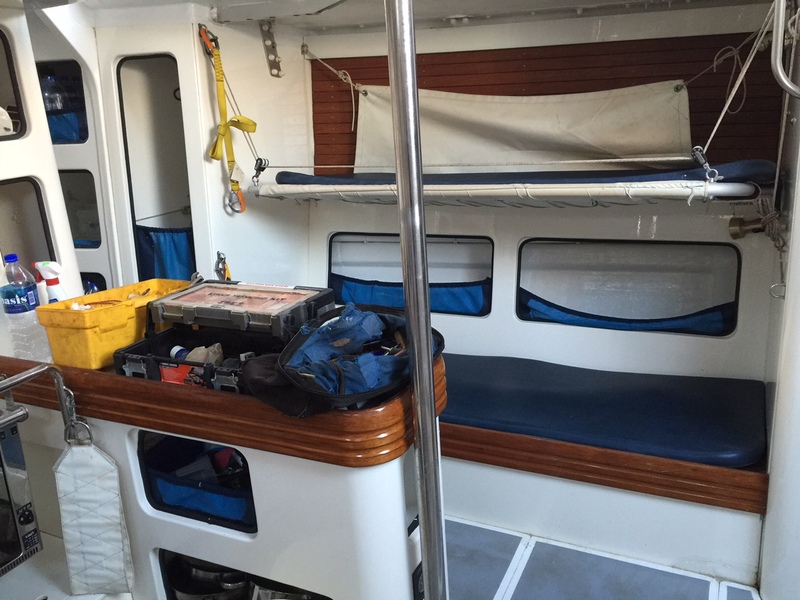 Tomorrow I’m doing the VHF Radio course, and sleeping aboard the SV Spirit of Juno. Antigua Sailing Week is from April 25-May 1st. It will be my first time sailing. Nice tip on that Guernsey Jumper. I may have to get one.